Surprisingly, you won’t find this gem on any of the popular lists of the most anticipated games in 2017. 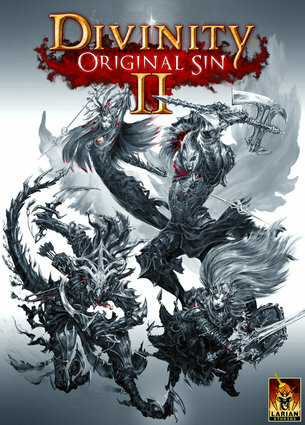 Divinity: Original Sin 2 is a sequel to the award-winning Divinity: Original Sin, by Larian Studios. If you haven’t already heard of this amazing turn-based RPG adventure, you are missing out on one of the greatest RPGs ever released on PC. This masterpiece offers an incredible gaming experience by letting you freely explore and interact with the vast and wonderfully detailed open world of Rivellon as a Source Hunter, fighter against dark magic on an epic journey of self-discovery. Among other things, the game features diverse tactical options, complex and challenging combat, immersive storyline and great humor. Its sequel, set a thousand years after the first game and planned to be released sometime in 2017, promises even more and even better version of that. It lets you design a character with a unique personality of your own choice. How the world reacts to you will depend on your character’s personality, gender, race, profession and origin story, as well as on the choices you make and your achievements during the game. Players will now choose their races (Human, Elf, Dwarf, Lizard and Undead) with unique skills and talents, and origin stories which will affect personality, quest opportunities and dialogue options. Developers promise “a fresh and rewarding role-playing experience, crammed with freedom, combat and mystery.” Judging by the Early Access version of Act 1 released for Windows in September last year, this is exactly what we can hope for. Unfortunately, we still don’t know when the full game will be released, nor when (if ever) it is going to be released on other platforms. Yet judging by the Act 1, it’s worth buying new Windows PC just to be able to run it.